Sydney, Australia, September 29, 2008 – Altium, the world’s leading developer of unified electronics design solutions, has extended its FPGA support to include the Altera Stratix®III and LatticeXP2 families of programmable devices. Electronics designers now have new opportunities to harness the power of FPGAs and explore new design concepts in real time, without having to make final decisions on device choice too early in the design process. The Altera Stratix® III and LatticeXP2 programmable devices form part of Altium’s growing list of supported device families, continuing Altium’s commitment to provide designers with a flexible, vendor-neutral unified electronics design solution. Electronics designers working on embedded designs or looking to move more of what would have been previously hardwired into the soft domain, can now easily explore new design concepts. And they can experiment with different devices to determine how best to execute their design in real time, all without major design rework. Altium’s unified electronics design environment provides pre-synthesized, ready-to-use ‘soft’ FPGA components that give designers the ability to program or change devices without the ‘sticky’ IP issues that inhibit innovation. Because Altium pre-synthesizes components for all supported Xilinx®, Altera®, Lattice® and Actel® FPGA device families, the system will automatically extract the appropriate models for the target devices and employ them throughout the design. This streamlines and speeds up the design process, allowing engineers to explore alternative devices without constraint. “Electronic designers are quickly realizing that functionality must move from the constraints of physical hardware and are increasingly harnessing the potential offered by programmable devices such as FPGAs,” said Nick Martin, CEO and Founder of Altium. 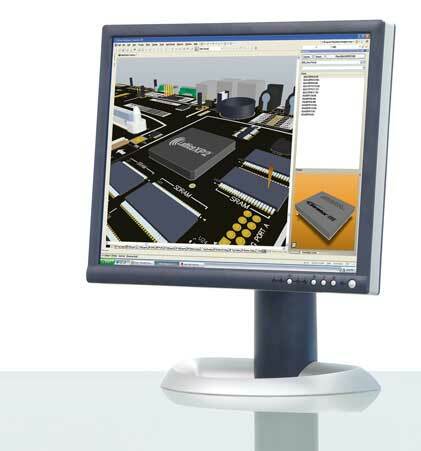 “Altium continues to add programmable device support to Altium Designer, so that designers can have the widest possible choice of options to explore and experiment with, before taking their designs out to final deployment and manufacture, all within a single, unified design environment. This flexibility and freedom is at the core of being able to create the next generation of electronics products in new ways. Altium Limited (ASX:ALU) provides world-leading unified design solutions that break down the barriers to innovation, and help organizations easily harness the latest devices and technologies to create their next generation of electronic products.